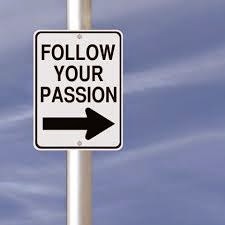 I always think it is great if you can follow your dreams, do something that makes you happy or even just try something new! Last year my New Years resolution was to write. I came across WeekendNotes which I had already subscribed to online. WeekendNotes is an online site where writers can write about fun and interesting things to do. I applied by submitting a short story and to my surprise WeekendNotes accepted my application. Over the last 9 months I have been writing about places I have been to, events coming up, even cafes, restaurants and markets that I enjoyed and thought others would too. I've included the first article I wrote: Shark Park River Bend Country Bush Camping plus a couple of others: Blackboard Coffee Roasters, and Camping @ Ferry Reserve, Brunswick Heads, Gold Coast. It has become a great hobby and you do get paid for it, which can be a nice bonus. WeekendNotes have sites all over the world, it may be an opportunity for you to write about places you have been to on your travels, explored and enjoyed. Think of the great places to run, eat and exercise! The editors are there to help you and hey if I can do it I am sure you can too and you never know, it may lead to a whole new writing adventure, a stepping stone to a new career even! Click on this link select your city and start writing, I look forward to seeing your articles. I have not been very motivated the last week. A result I guess of work, late nights and a cold that I cannot shake. Motivation to get out and run or even walk has gone out the window so to speak. Sometimes I think you do need some time at home and there is nothing wrong with staying in bed, watching movies and just hibernating a bit to recover. I have continued to drag myself out of bed to stretch and as much as I struggled with them, I did do some planks, sit-ups, lunges and squats. Hopefully by tomorrow I will feel more of an inclination to get out of bed and go for a much needed walk. That is my plan for tomorrow. At least I haven't been reaching out for biscuits, chocolate or ice-cream. My go to food lately has been yoghurt. I keep a pot in the fridge at all times, goes perfectly with oats in the morning or just as a snack. Nothing better than grabbing a spoon or two before running out the door. 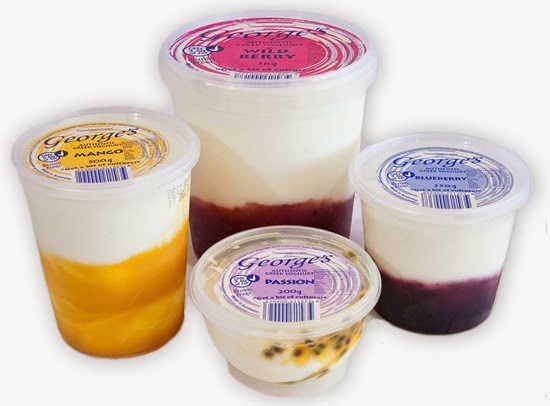 My fruit and vege stall down the road has the perfect yoghurt, almost too yummy - George's Authentic Greek Yoghurt, favourite flavour - passionfruit! What is your go to food?